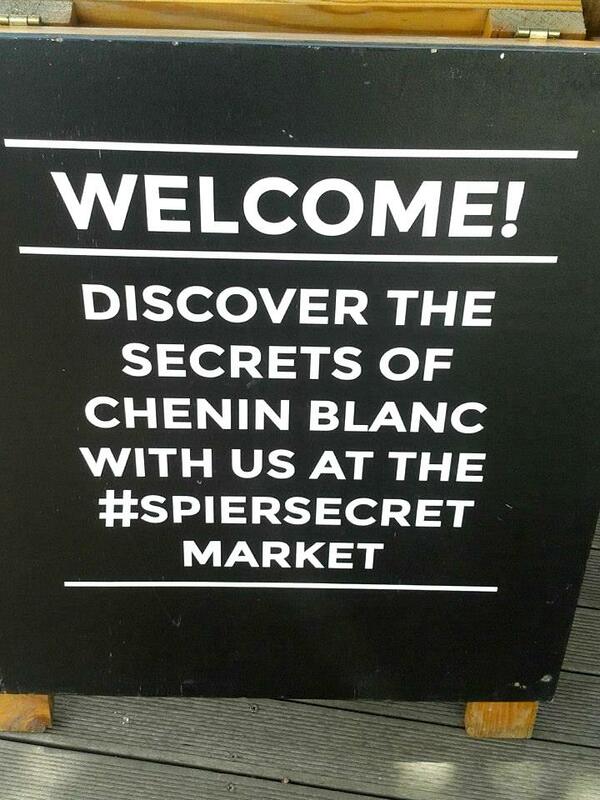 This weekend it was time for the 2nd annual Spier Secret Festival (at Spier, obviously). and Nicole was there to pour our latest Secateurs. 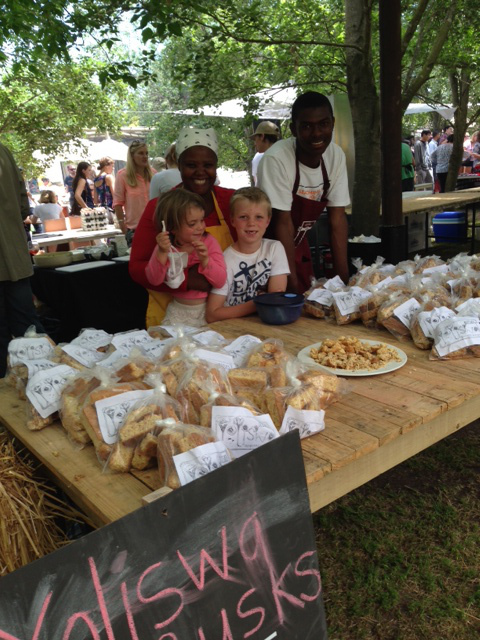 While at the food market Yoliswa sold her (world famous, if you consider the guests who have enjoyed them at our cottage on Kalmoesfontein) rusks under the trees. Yoliswa was very happy with her sales and is already thinking of expanding her business. 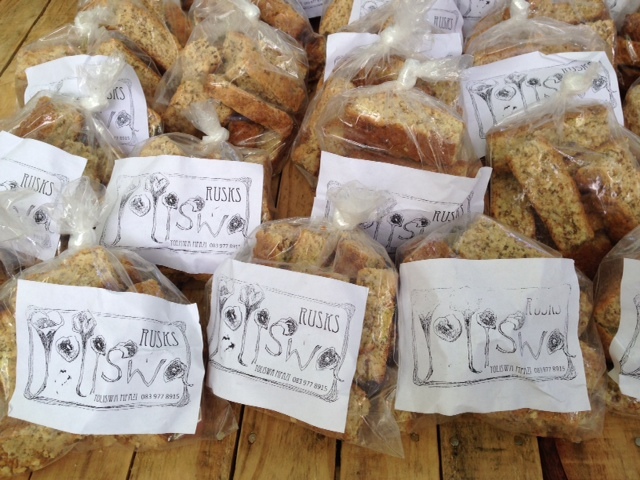 We would like to thank everyone who helped her make this a success, especially Varenka who designed the packaging. Chenin photos with thanks to The Chenin Blanc Association of SA. View more here. 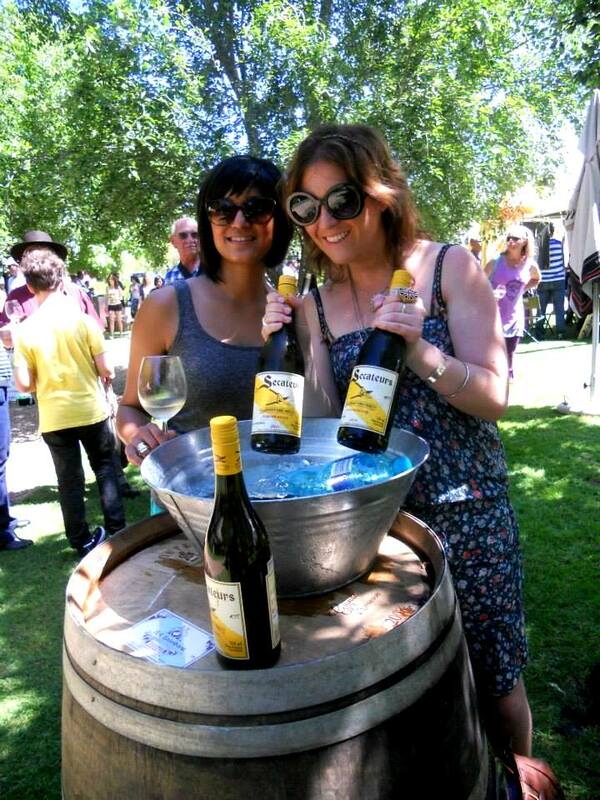 This entry was posted in Chenin Blanc, kalmoesfontein, South African Wine, tastings by quietriotgirl. Bookmark the permalink.